Interview with a Canadian girl dreaming about being a K-pop star. We all know that there are many international K-pop fans who want to be a real singer in the Kpop world. They know that being a singer in the Kpop scene as a foreigner could be a bit unrealistic. However, they keep dreaming about it and continue hard work for their dreams. 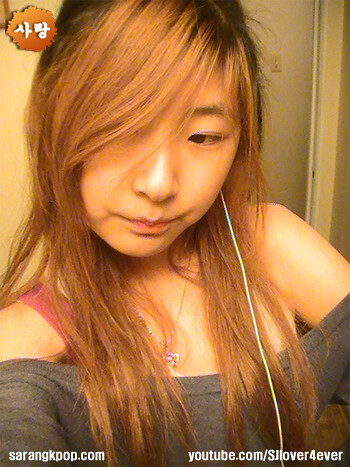 Sarangkpop had an interivew with Cindy who is following her dreams to be a Kpop star even though she is Canadian. You may find out what is hard as a foreigner and how she loves K-pop as well as how much she wants to be on stage as a singer. Hi, everyone! I’m Cindy (AKA SJlover4ever ) haha. I’m 17 and I live in British Columbia , Canada . Hmm, I would like to keep my school a secret though, in case you want to come and stalk me HAHHA… Although I doubt any of you would want to do that, right ? =P I’m in my senior year of high school and I’ll be graduating in 4 months T-T. Time really flies. 3. I understand you have a Korean name. What is it? Who gave you the Korean name? and Why? Ah, my Korean name xD It’s 장해진 (Jang Hae Jin) and I sort of gave it to myself as lame as that sounds lol. I never really thought about creating a Korean name for myself and it wasn’t until my friend and I were sitting outside the school office waiting for an interview that we began to ponder about Korean names. My friend said that someone helped her make up a Korean name and I thought it would be fun to create my own. Originally, I just romanized my english name into 신디, but I decided to come up with a name that I would like to have if I were Korean and for some reason Hae Jin just popped in my head xD I liked it so I decided to stick with it. 4. When did you start dancing to kpop? I believe it was about a year and a half ago when I began to really get into kpop dances. I would dance on and off but ever since last year, I began to get more serious about it. 5. In your opinion, what made kpop special and unique? Hmm, that’s a bit hard to say. Prior to Kpop, I was very into Cpop and mainstream english music, but usually those music videos wouldn’t focus a lot on dances. What first stood out to me about Kpop music videos were the dances, I’ll have to admit. And as I got more into Kpop and really, Korean culture in general, I began to love other aspects such as the language, styles, fashion, foods, and of course, the people (primarily Super Junior) =) Hence, my youtube username. As time went on, for some reason Kpop songs just seemed to get more catchy and easy to listen to. 6. how do you feel kpop’s popularity in Canada ? =) Super Junior, hands down. Others ones that stand out to me would include 4minute, Wondergirls, SNSD, Big Bang, DBSK, SHINee, B2ST, BoA, and KARA. Those are just the ones that really interest me, but there are many many MANY more that I also really like. 8. Which Kpop female group do you think is the most talented and why? Wow, haha, this is a very difficult question to be honest. I believe that every group has its strong points and is talented in their own ways. It is really hard to distinguish which group is the most talented. It would be unfair to just go off of the girl groups that I listen to the most because I am aware that there are many rookie girl groups that I may not listen to often but are just as talented as the more well-known ones. Hmm, I do have a few females in girl groups that really inspire me though, but I wouldn’t necessarily deem them to be the most talented because really, in my opinion everyone is very talented. 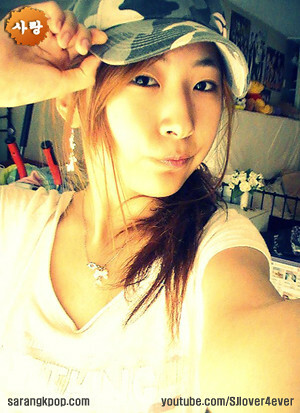 Hyuna (from 4minute) and Sohee (from Wondergirls) have been my inspiration for dancing. It’s hard to say what exactly about them catches my eye, but I guess it’s their charisma and stage presence that really motivates me to continue doing what I love to do best.